If you are interested in operating your company is a more efficient manner, consider acquiring customer relationship management software. 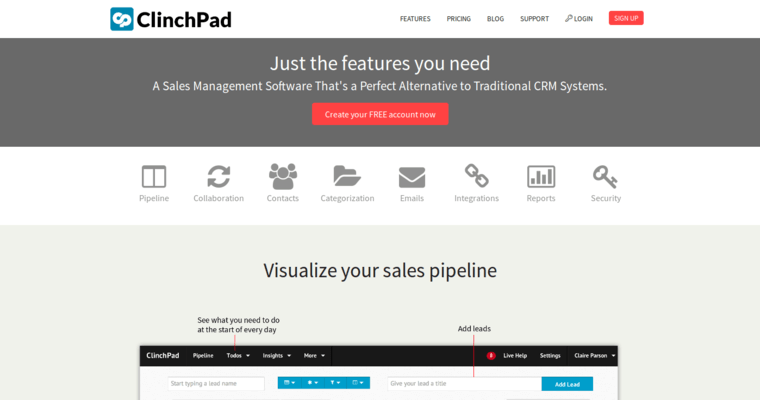 Clinchpad is a CRM that has earned the title of being among the best. It is built for small teams, a step up from utilizing spreadsheets and user-friendly. 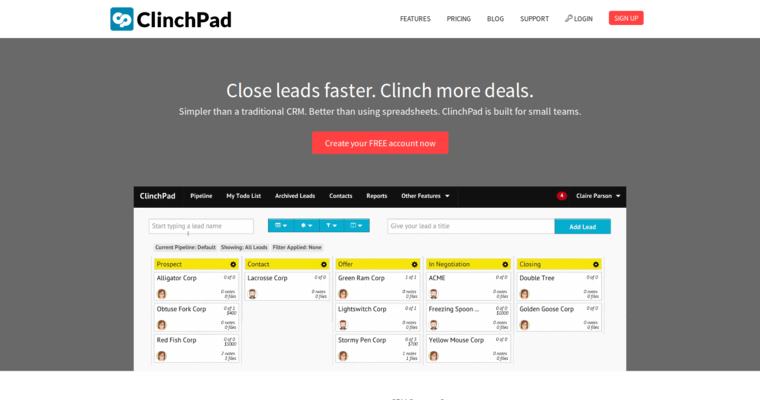 Clinchpad gives you the ability to track deals and not just your contacts. Focused on helping you build your sales pipeline, it stores everything related to your deals in one place, delivers key insights and is accessible from anywhere you may be working on any given day. The software was developed to help users increase their company's revenue, include the features you will truly use and is easy to set up. 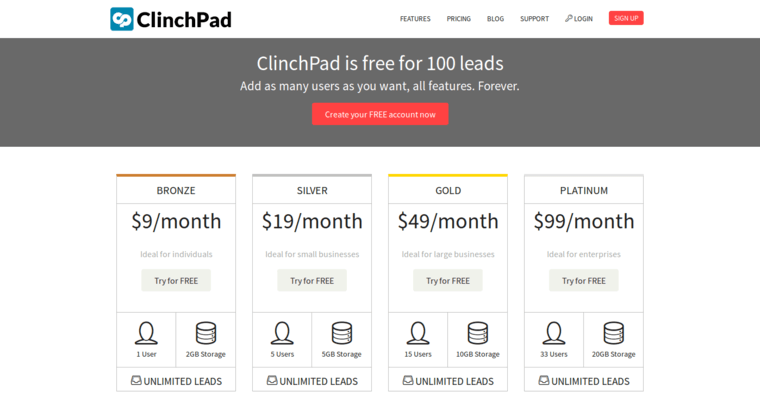 When you begin your free Clinchpad account, you will have access to the dashboard, reports and communication features. When you pick your plan, your access will increase and include management and collaboration.